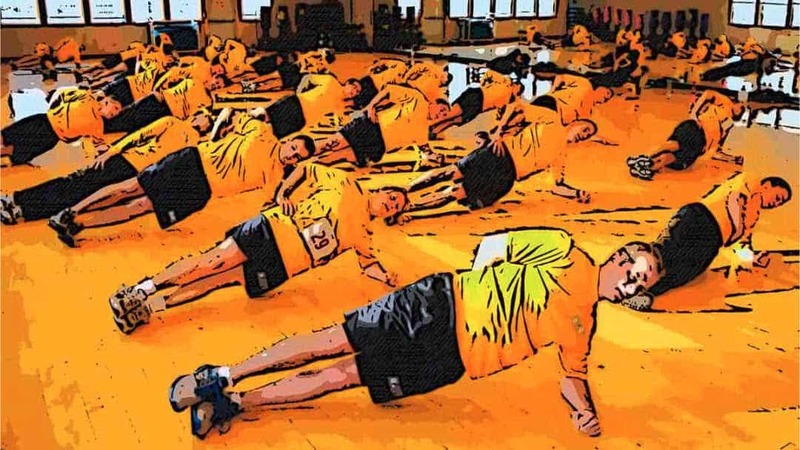 5 Group Fitness Certifications - Which one is the best in 2019? If you enjoy the energy of group exercise classes, you may want to consider getting certified as a group exercise instructor! The only problem is, there are a few options to choose from. So which one is the best? In the end, you will have a clear idea of which one is right for you. If you want a quick summary, my top two groups certifications are the ISSA group exercise certification and the ACE group exercise certifications. Make sure to check out their websites for more info. I highly recommend that you Take the quiz to get an estimate on which group exercise certification is the best fit for you overall. This is just an estimation, read the article to get the full understanding. 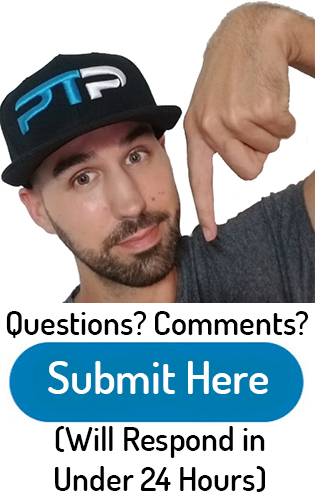 I also suggest checking out my articles on the Top CPT certifications, the best corrective exercise certifications, and the best strength and conditioning certifications. What are the Benefits of Obtaining a Group Fitness Certification? Whether you like massive group workouts such as boot camps, water aerobics, spinning classes or zumba classes, obtaining a group exercise certification will help tremendously. The group exercise certifications that I will be talking about in this article also apply to small group personal training between two and eight people. A lot of the same principles apply. I will be going over my five favorite group exercise certifications. If you have been doing one-on-one personal training for a while, this is a great way to switch things up, increase your salary and have a lot of fun at the same time. In lots of gyms, group exercise instructors get paid more per hour than the typical one-on-one personal trainer. The only caveat is that it is difficult to do more than two or three large group sessions per day. Especially if you are doing the workout along with the class that you are instructing. You might also be interested in my article on how to become a personal trainer as well as the top training certifications you are not yet a personal trainer but would like to become one! Let’s get right into my group fitness certification choices! In the order that I will be reviewing these certifications they are: the ISSA specialist in group exercise certification, the ACE group fitness instructor certification (their general certification), The certified group exercise instructor certification from ACSM (their general certification), the primary group exercise certification from AFAA (their general certification) and the group exercise certification from NETA (their general certification). I will break down each of these certifications so you could see the slight differences between each of them. 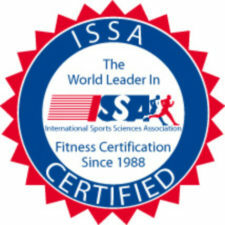 The ISSA specialist in group fitness is one of the newer group exercise certifications on the market. It has a very strong focus on creating effective yet safe programs for a wide variety of individuals and capabilities. The ISSA group fitness certification lets you discover what type of training you want to do, what type of equipment you want to do it with and how to market this unique class so that you can expand your business and make more money as a trainer. Here are some of the main bullet points that you will learn from their certification. How to perform fitness assessments for your group clientele in order to keep your classes safe. How to effectively implement program design to a wide variety of individuals. The differences between classes that are based on flexibility, endurance, strength or cardiovascular fitness classes. How to choose the perfect equipment for your specific class and objectives. How to market yourself as a group exercise specialist in order to make more money and grow your business. With the ISSA group exercise certification you will receive their main textbook which is 265 pages long, a study workbook in order to guide you through the textbook, access to their online exercise lab (which includes 250 animated exercises), Free access to ISSA group exercise specialist for any questions, practice quizzes and tests, access to the online student forum, and a free professional website designed for you and made specifically for fitness professionals. You can study at your own pace using the wide variety of study materials provided to you. Whenever your ready to take the exam you can hop online and take the test. This makes this certification a very international certification as you don’t need to go into a test-taking facility in order to get certified. the ISSA specialist in group fitness is accredited by the DEAC. The certification typically ranges between $599 and $799. They offer a monthly payment option for those who prefer it. Check out the current price for the ISSA group fitness certification here. Overall this is the newest group fitness certification and is already one of my top choices. Over the last couple of decades, group exercise classes have exploded in popularity. The rise of spin classes, Zumba, yoga, cross fit and body pump has swept across the nation, and nearly every single gym teaches a variety of each of these classes. At first, regular personal trainers used to teach these classes, but they had very little instruction on how to do so correctly. This led ACE to create the group fitness instructor certification so that there could be an organized and systematic way to teach these classes that were both efficient and fun! The instructors of those classes need education on the dynamics of group exercise training. ACE teaches you how to properly design, construct, choreograph and safely lead large group classes! Unlike a lot of the other certifying agencies out there, ACE is fantastic because they are nonprofit. Their primary goal is to help individuals live exceptional and healthy lives. Not only are they nonprofit but they were also one of the first group exercise certifications to be NCCA accredited. It is also the only EHFA (European health and fitness Association) accredited group exercise certification on the market today. As of right now, there are 13,000 individuals certified with the ACE group fitness certification. That number is multiplying and, there’s no wonder why. 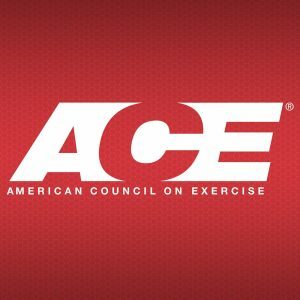 As of the time of me writing this article, ACE is offering two separate bundles on their website for the group exercise certification. The first bundle will cost you $299 and includes the primary textbook, a booklet on the essentials of exercise science, a booklet to help you “master the manual,” access to their online resource center and entrance to take their examination. The more expensive bundle is called the premium bundle and will cost you $499. This package contains everything that the cheaper package does, with the addition of a booklet with sample tests as well as the “ACE Academy.” Check out the current price for the ace group fitness certification. The ACE Academy is a fantastic 12 week series over e-mail. It also contains a couple of practice tests. The best thing about the ACE Academy is that you will have one on one access to call or e-mail a qualified group instructor professional from ACE. If you have a lot of questions (which I’m sure you will), you will have a private tutor that you can contact. This is one of the best ways to segment the information in your head! You want to check out a more detailed review of the certification check out my article here, Or check out their website for more info. This is one of my favorite group fitness instructor certification recommendations. 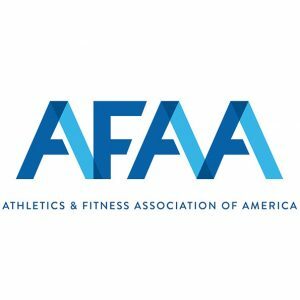 AFAA offers two different ways to get certified for their group exercise certification. The two options are an “on-site” option as well as an “online” option. The point of these two options is to try and extend their reach to as many people as they can. My opinion I think every certifying agency should require their test takers to be monitored to make sure that they do not shoot on the test. The online tests, however, are monitored VIA webcam to make sure people don’t cheat. I have read on forums that it is pretty easy to use your study materials and cheat the system. Both the on-site and online versions will cost you $299 as of the time of this writing. I have frequently seen discounts for the online version in which they offer for $199. This one includes entrance to the test and all of the online study materials. You have 12 months to take the test after you purchase the package. In my opinion, this is plenty of time to get all of your studying done. I believe that AFAA offers a right amount of study materials, especially when compared to the limited options offered by ACSM. They offer 14 different video lectures that can be accessed online. The primary textbook is in PDF format so you can load it up on your tablet or smartphone so that you could study wherever you go. You also have access to a sample test on the website to see if you are ready for the real thing. Also included in the package for $299 is access to a video conference with an AFAA professional instructor. 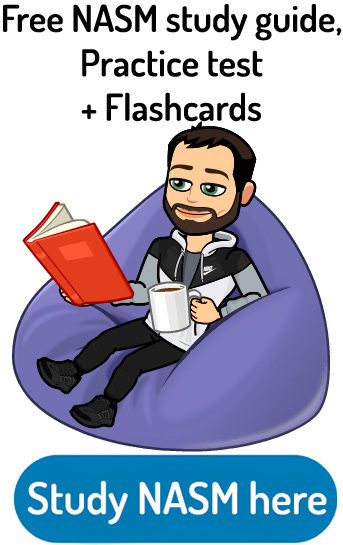 I have heard that sometimes these can be one-on-one sessions, but most often than not you will be in the group with other students. This is pretty cool because you can get answers for a lot of the questions you have through these conferences. You can take the test at a test-taking facility if you purchase the on-site version. You also can buy physical textbooks from their website if you prefer them. Check out the website here for more info on this certification. One of the cool things that I like about the ACSM GEI is that they focus on camaraderie and different ways to raise the motivation in your class. The primary sections of the textbook included endurance and cardiovascular section, a health section, strength section, flexibility section, motor skills section and a section on body composition. There are some prerequisites that you need to have to sign up for the GEI. You have to be 18 years old, have a current CPR/AED card and have graduated from high school or the equivalent. Unlike the ACE certification, there is only one package that you can purchase through ACSM. However, there are two separate prices depending on whether you are a member with ACSM or not (Just like all of their other certifications). Also, the study materials are sold separately from the test. 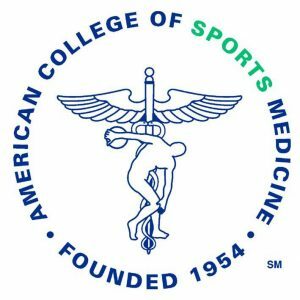 The price for the test if you are a member with ACSM is $219 as of the time of this writing. If you are not a member, it will cost you $279. If you do not pass the test on the first time around it will cost you a steep $150 to retake it. This textbook can be purchased from the ACSM website for $72.99. The smaller second book is called “the guidelines for exercise testing and prescription.” This textbook and also be purchased from the ACSM website for $41.99. I think that the ACSM GEI certification is all right. This certifying agency is one of the most well recognized in the industry not only for their “general” certification but also for their more advanced CSCS certification. I do not like the different prices for being a member or for not being a member of ACSM. I also believe that they should package the test and study materials into one price to make it easier for their customers. I do not think that the curriculum or study resources are as good as ISSA or ACE’s. They should have an online version of the textbook and study materials because everything is digital these days (and I love my personal training software!). 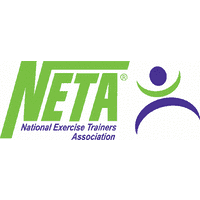 The fifth certification that I will be talking about is the NETA group fitness certification. Although not the most well-known certifying agency out there, NETA has helped over 130,000 fitness professionals over the last 33 years. They offer a bunch of niche certifications as well that I have talked about on my website. I feel like they provide a strong foundation for beginning personal trainers through effective yet safe practices. The curriculum for the group exercise certification focuses a lot more on music selection, queuing and timing of your class instruction. Through NETA you will have two different options for you to get your group fitness certification. The first option is to attend a one-day workshop in which the test will be given to you at the end. The second option is the test only option in which you have to take the test at a test-taking facility administered by Comira. In my opinion, NETA does not do the best job in regards to their test-taking procedures. I feel like they are not as strict as they should be. The test compared to the other group fitness certification options, is not nearly as difficult. The first option only requires a one-day workshop before you can take the test. That is not nearly enough time to learn all the material that is necessary to be a great group exercise instructor. There are three different ways you can pay for the group exercise certification. The first is called their early bird special and at the time of this writing will cost you $249. The middle option cost $299. And the most expensive option is $309, and that is for the on-site version. Unfortunately, the NETA website does not do the best job of explaining the difference between these three options. You will gain many essential skills from a group exercise certification. Not only will you be fantastic at working with groups but it will also make you a more diverse and skilled personal trainer one-on-one or in tiny groups. It also opens you up to many more possibilities for training, and it also makes you more desired as a trainer. Once I became certified as a group instructor, it was great because I got a lot of my one-on-one personal training clients to also take classes with me. The biggest win for me was converting a lot of the members in the group exercise class into one-on-one personal training clients as well. This is where I saw an increase in my income. It gives you access to a whole bunch of new leads. Is the best type of personal training marketing and if you can sell personal training then you will be made in the shade! Let’s start talking about the top five certifications! For those of you that would like to watch the video here is what I created four years ago. It does not, however, include the ISSA certification because that certification is relatively newer. 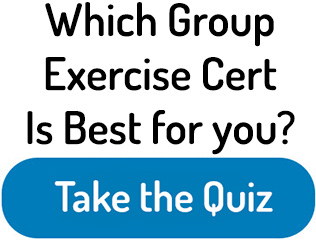 If you have not done so yet, Take the quiz to get a better overall idea of which group exercise certification is the best match for you. Like I mentioned at the beginning of the article, I think a group fitness certification can open up a lot of doors for you. You can gain a lot more clients and therefore make a lot more money by converting class members into personal training clients and vice versa. The energy that comes along with group exercise classes makes it extremely fun! My top two choices overall are the ACE group fitness certification in the ISSA group certification. Naturally, not all of the certifications that I talked about are created equal but any one of them is better than no group instructor certification is all if you are teaching a class. I prefer certifications that only offer monitored test taking options. 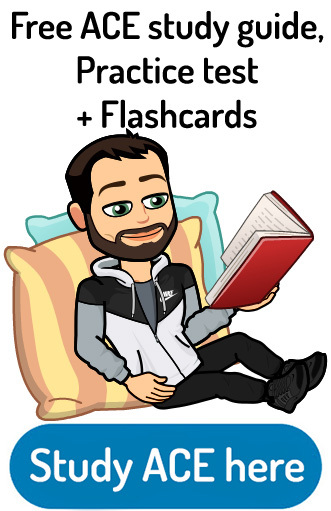 This makes sure that you study hard and often actually memorize the material while teaching a class or teaching us small-group, you will not be able to look of your textbook to figure out the proper thing to do. You need to have all the information in your head already! My favorite two certifications out of all five of them are ACE and ACSM. Not only are both of these certifying agencies very well known, but the test-taking procedures are more strict. Out of the two certifications, I think that ACE is much more structured and resources are more plentiful, helpful and easily accessible. Click here to check out my full review on the ACE group certification! Whichever one you pick, all of these will fulfill your continuing education credits for your general certification. If this article on the best group fitness certification options was helpful, please share it on social media using one of the buttons on the side or just simply let your friends know about it. Leave me a comment down below if you have any other questions! Happy personal training! A friend of mine recently opened a gym and offered me the opportunity to teach the boot camp/drills a few days a week. Super excited, I took the opportunity and I really enjoy it but I would like to know more about group training. I recently took the TRX suspension training course and it was AWESOME! I learned a lot as far as cue’s, NAPS-MR, etc… and of course I’m hooked so I signed up for the Group Training Course; but I would also like to get certified for group training and eventually personal training. However, I’m torn between ACE, AFAA and NASM. After reading your article and hearing a few things from other instructors I eliminated AFAA but have you tried or heard anything about NASM’s group certification program? Good to hear that you are so excited about getting into the fitness industry. If you are looking to mostly do group training stuff I would recommend sticking with ACE. I think that their group exercise certification is better if not the best one out there. Why would you say that? Any examples? They have been around for a long time. They are very well respected in the industry and by employers also always have great study materials for all of their personal trainer certifications. I want to get certified as a group trainer. Training is my passion. Go for it. Having a group exercise certification is very helpful and a lot of fun at the same time. Thank you for the kind words and for checking out my article on the top group fitness certifications. Good luck with all of the studying!